I think I have to support the appointment of Trump's son-in-law Jared Kushner as "senior White House advisor." Kushner appears -- at least for the moment -- to be divesting himself of his business interests to be (more or less) conflict-of-interest-free, something his father-in-law will never achieve. So there's that. Kushner is said to have "a calming effect" on Daddy Trump. We have to take that on faith, for if Trump has been periodically "calmed" during the last 18 months, we hate to think what displays we would have been treated to without Kushner's "calming effect." Everyone gives Kushner props for ditching Trump's first campaign manager, Cory Lewandowski, and for showing Gov. Chris Christie the door, no small feat in itself (if it's true). It's true that once upon a time Gov. Christie put Kushner's father in jail, but even without that personal reason for animus, Kushner's father was a prominent Democrat in New Jersey where Christie was a prominent Republican, and Jared Kushner himself is a life-long Democrat, said to be very liberal on social issues and liberal with the checkbook, giving to Democratic candidates. The fact that Kushner, an orthodox Jew, has teamed up with white nationalist Stephen Bannon means that one or both of them is being influenced in directions he didn't necessarily intend to veer. Maybe it's those old Harvard ties that allow Kushner and Bannon to operate in the same orbit. 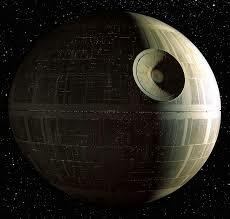 Only time with tell if Kushner can keep the Death Star from disintegrating the entire planet. He certainly knows where the plans are kept. Agreed. We have only slim reeds left.